Brian Sato has graced the pages of "Portfolio" numerous times with his gorgeous fine-art photography. 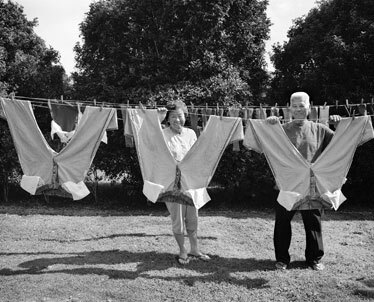 But for all the creativity and personal gratification those works afforded, it is another effort -- an enduring, evolving documentary project -- that Sato holds closest to his heart. 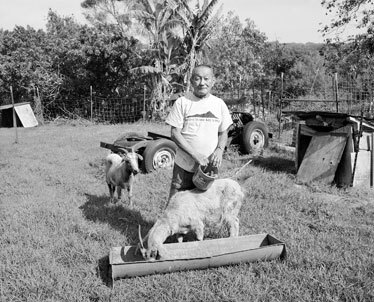 "Gokurosama: Contemporary Photographs of the Nisei in Hawaii" began six years ago when Sato realized that no one was photographing the surviving nisei (second-generation Japanese-Americans) in Hawaii. 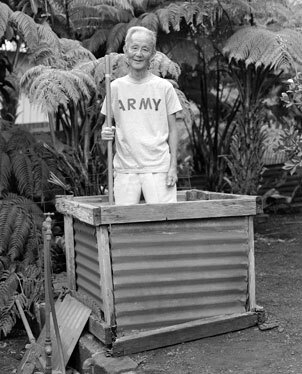 "We all know about the nisei as a group, but I wanted to show them as individuals, too," Sato said last year when his black-and-white portrait collection, of nisei on Oahu, Maui, Kauai and the Big Island, was turned into an exhibit at the Japanese Cultural Center of Hawaii. But even after the widely lauded show's run, Sato wasn't satisfied. 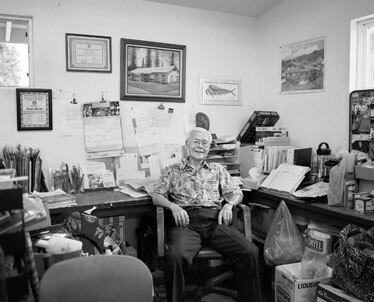 "I felt the project would not be complete until I photographed ... the nisei of Molokai and Lanai -- to be able to say that nisei of all the islands are represented in this collection." Today's "Portfolio" shares some of those final pieces in the fully realized "Gokurosama." 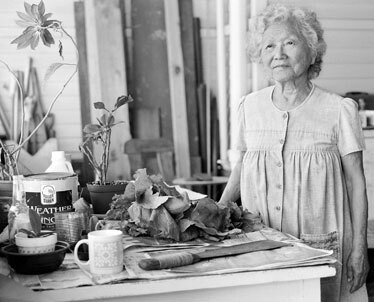 The closure of Sato's documentary efforts doesn't signal the end of the exhibit, however: "Gokurosama" has caught the eye of the prestigious Japanese American National Museum in Los Angeles, where the portraits will show next year from Feb. 24 to May 24. 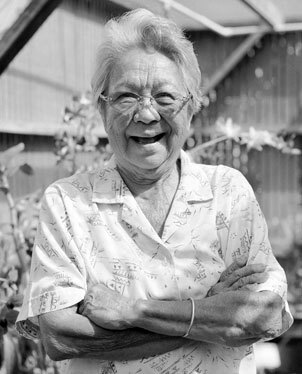 For now the show is on display at the Lyman Museum in Hilo through Oct. 15; after its run in California, it moves to the Kauai Museum from June 17 to Sept. 11, 2009. After that, Sato says -- in typical fashion of one who won't stop until a job is properly completed -- "we would like to take the exhibition to Japan if possible."